The Telecom Regulatory Authority of India (TRAI) has released the latest Telecom Subscription Data for the month of July 2018, and as per the report, Reliance Jio continues to dominate rivals in India’s telecom sector. 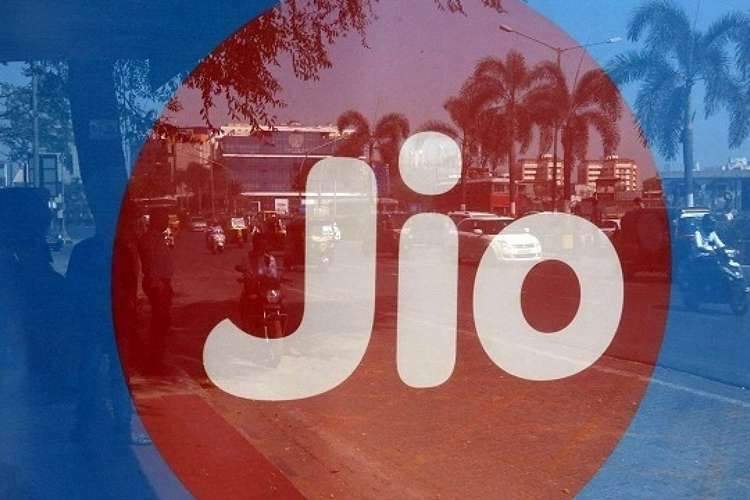 The report states that Reliance Jio added 37 times more subscribers than its arch-rival, Airtel, in the month of July. Reliance Jio added a staggering 11.7 million new subscribers in July, while Vodafone and Airtel only managed to add 0.6 million and 0.3 million new subscribers in the same period, which indicates the pace at which Reliance Jio is on route to becoming the largest telecom operator in India. In terms of monthly growth, Reliance Jio’s subscriber base went up by 5.48% in July, while Vodafone and Airtel recorded a growth of 0.27% and 0.09% respectively. When it comes to the net market share, Reliance still has a lot to catch up. As of July 2018, Bharti Airtel had a market share of 29.81% in terms of the total number of wireless telecom subscribers in India, while Reliance commands a market share of 19.62% and takes the second spot. Vodafone is placed a close third with 19.30% market share, while Idea occupies the fourth spot with 19.07% share of the market. But now that the merger of Vodafone and Idea is complete, the joint entity called Vodafone Idea Ltd may as well be regarded as the domain leader with a combined market share of 38.70%. 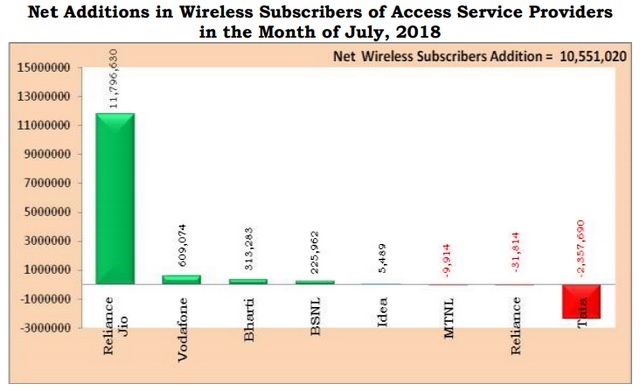 As per the report, PSU service providers (BSNL and MTNL) only commanded a 10.10% market share at the end of July, while privately-owned telecom operators enjoy a hefty 89.90% share of the segment. Another area where Reliance Jio leads the market is wireless broadband services. As per TRAI’s report, Reliance Jio is the top wireless broadband service provider in the country with an astounding 49.33% of market share and over 227 million subscribers, while Airtel remained a distant second with 20.71% market share.